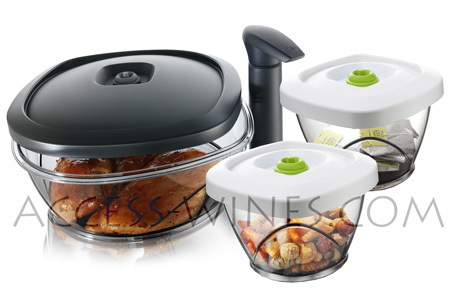 When foods are exposed to the air, they quickly deteriorate affecting taste, flavour and crispness. 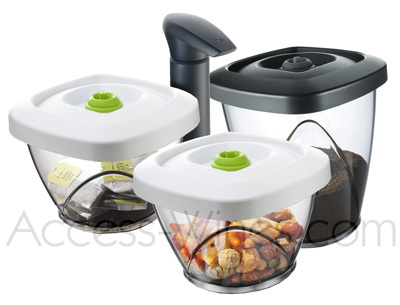 The Vacuum Food Savers prevent this keeping them as fresh and dry as the day they were first opened. 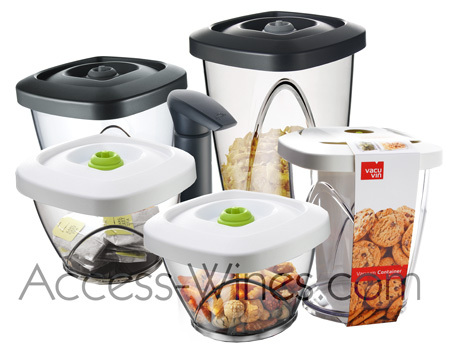 The vacuum pump simply extracts the air from the container creating a vacuum and keeping 'air sensitive' foods such as biscuits, cookies, crisps, nuts and cereals in perfect condition. 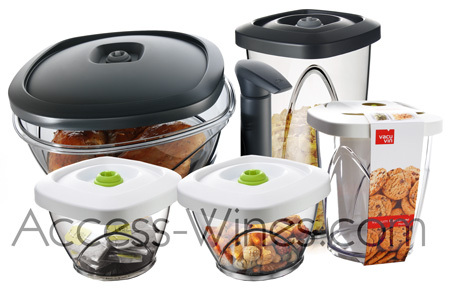 There are several sizes of containers which are stackable and dishwasher safe.